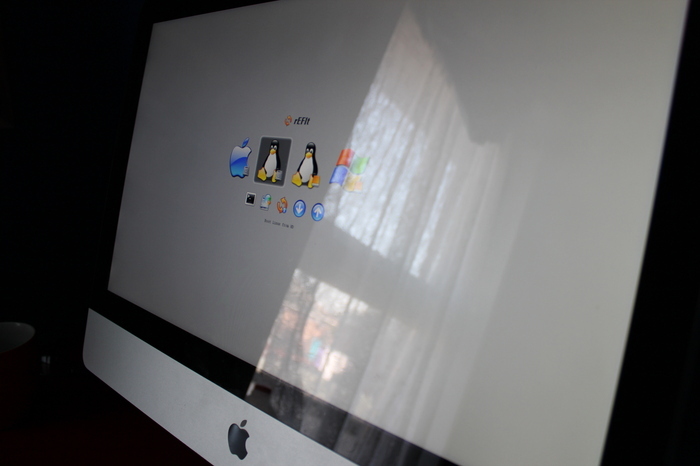 [How to] Dual Boot Mac OS X and Ubuntu - OMG! Ubuntu! Dual-booting on a PC is easy: you stick in a LiveCD disk, drum your fingers for a few minutes then let the installer take care of all the difficult stuff. But how does one dual-boot Ubuntu on a Mac? It’s actually not that difficult; there are various guides and how-to’s on the internet. But to help clarify the process I thought I would share the method I use. Whilst I don’t guarantee that it will work for you (although in all honesty it should), be sure to make a back up of anything vital before attempting this. Seriously, do it. Unlike a typical PC where the GRUB boot-loader is used to present your dual-boot options, Intel Mac users need to install something extra: ‘rEFIt’. ‘rEFIt’ is a visually slick (think BURG) boot-interrupter that allows you to boot between OS X and your Linux distribution(s) of choice. Inside the ‘rEFIt’ folder accessible from Finder, double-click on the “rEFIt.mpkg” package. If everything went well you will see the rEFIt boot menu appear on your next restart. For extra peace of mind create a bookmark to the ‘Troubleshooting section‘ of the rEFIt website incase any issues arise. The next step is to make some space for your Ubuntu install. I typically do this in OS X because it’s easier. Be generous when allocating disk space you need as trying to change it later can lead to all sorts of problems. Once you’re all set you just need to pop your LiveCD into the disk drive and reboot. Press the ‘C’ after the start ‘chimes’ sound to boot from the Live CD. If you’re an iMac user using bluetooth peripherals do be aware that these will not work out of the box in Ubuntu, so have a wired keyboard and mouse to hand. 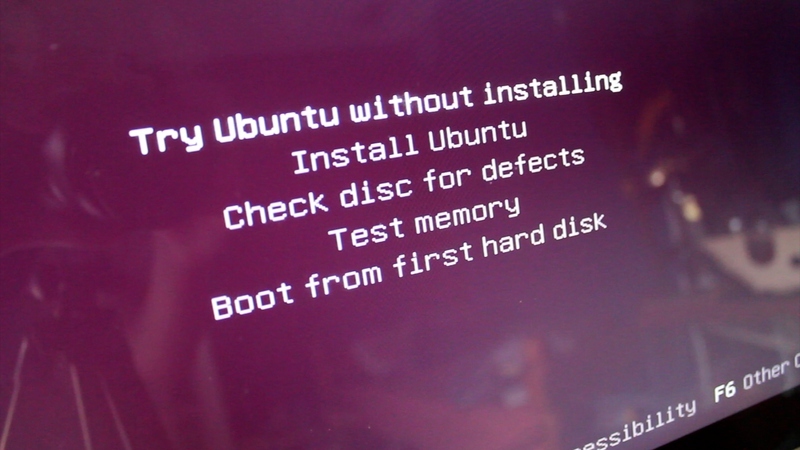 Proceed to install Ubuntu on the ‘free space’ partition you created earlier. Ubuntu may prompt you to install it on freespace (double check the size) or, if it doesn’t or you just want to be super-cautious choose the ‘Advanced’ option from the partition screen. From here select (check the box under ‘format’) ‘free space‘ and choose the ‘EXT4’ filesystem when asked, and mount point should be set as ‘/’. The above looks a bit crazy, but once you’re in the partition editor of the LiveCD it’s straightforward. I should also add that I don’t usually bother adding Swap space but you may wish to. Once all is done you just need to reboot your Mac and select ‘Linux’ from the REFit bootloader when it appears. If you’re using a bluetooth keyboard you will need to press a button on your keyboard and wait a second before you are able to select boot entries with rEFIt.